Entry : Rs 300 B4 10 pm // Rs 500 after. Wild City takes on another smoky slant with BBQ and beats at the 2nd edition of our day-long event featuring some of the city’s most diverse selectors as well as international DJ's to boot. This might just be the last chance we have to enjoy some sun. 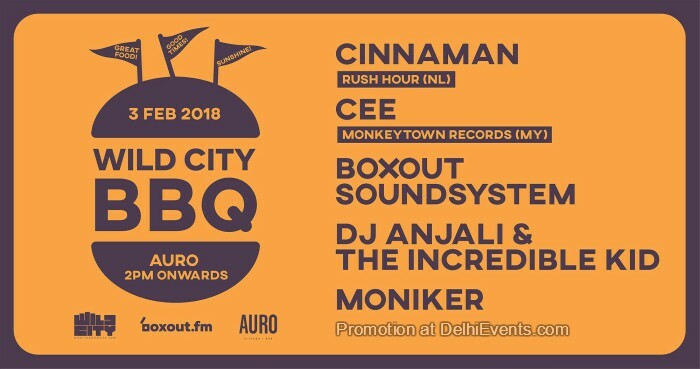 Wild City BBQ, apart from featuring some fine cuts of meat (yeah we went there), will feature appearances from Amsterdam's Cinnaman, Malaysia's CEE, the full crew at Boxout Soundsystem and DJ Anjali & The Incredible Kid. Of course Wild City’s Moniker will be getting things moving.